Pakistan generates about 20 million tonnes of solid waste annually, and its dumps have become a hub for child labour. Karachi, Pakistan – In the economic hub of Karachi, Ali, an 11-year-old child, awakens at dawn while the rest of his family sleeps next to burners and barrels that will be used to disintegrate metal waste. The barrels contain acid, and wires and circuits will be burned in the open air, releasing harmful emissions. 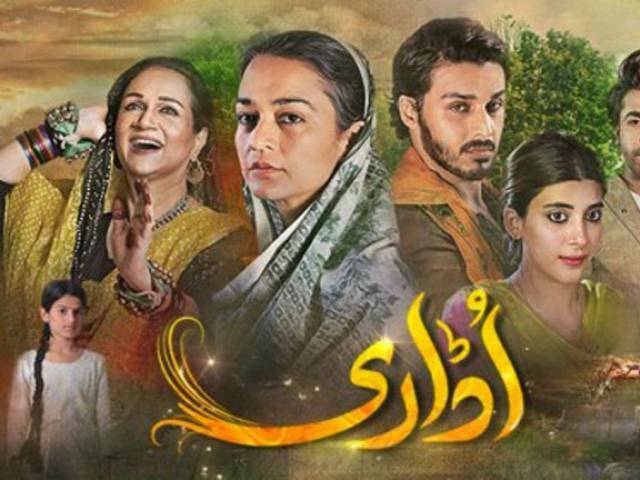 But Ali’s impoverished family needs whatever money they can get from this dirty business. 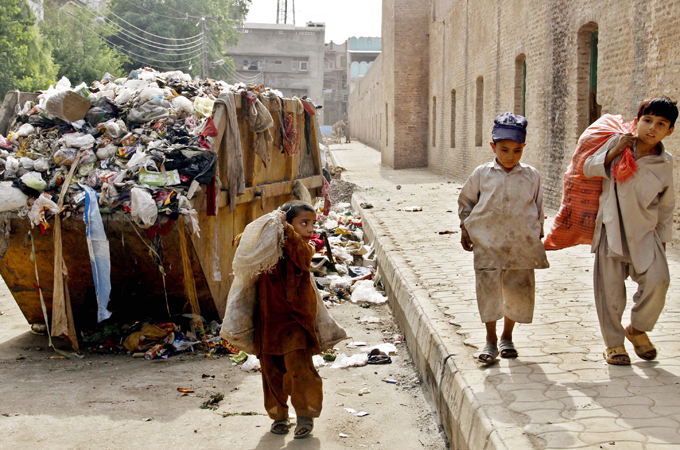 Muhammad Ishaq, 12, is another child hostage to the rubbish he collects for a scrap dealer. In return, the scrap-dealer gives his parents fixed Rs 2500 ($25) a month. “My shed broke in the recent rains. Where will I live now?” is his recurrent concern, as he refers to the shed made also of, ironically, pieces of wood and cardboard he finds in the trash. These children get food and clothes from NGOs or common people… They eat at charities and bathe in mosques. They are very susceptible to scabies and infected wounds. They suffer from diarrhoea all year round. Both Ishaq and Ali are among thousands of Pakistani children who work as scavengers, combing through piles of rubbish for a daily pay that maxes out at about $2. Besides being out of school, these children face severe health hazards from the unsafe handling of waste. “These children get food and clothes from NGOs or common people… They eat at charities and bathe in mosques. They are very susceptible to scabies and infected wounds. They suffer from diarrhoea all year round,” said Rana Asif, Founder of Initiator Human Development Foundation, that works for the welfare of street children. Copper remains the most lucrative find for these boys. It is sold at Rs 500 ($5) a kilo, and aluminium at Rs 100 ($1) a kilo, and all of this is found in electronic waste. 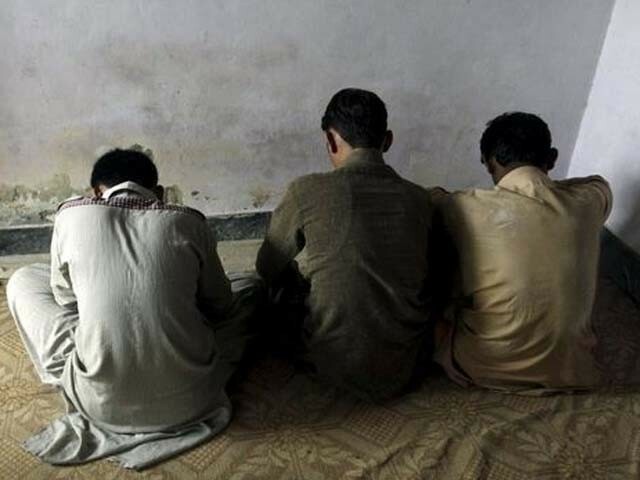 These children – 95 percent of whom are male – are often found at Karachi’s biggest markets for e-waste in the Shershah, Lines Area and Regal neighbourhoods. “We find computer monitors, and buyers buy them from us for a pittance, but sell it for much more. 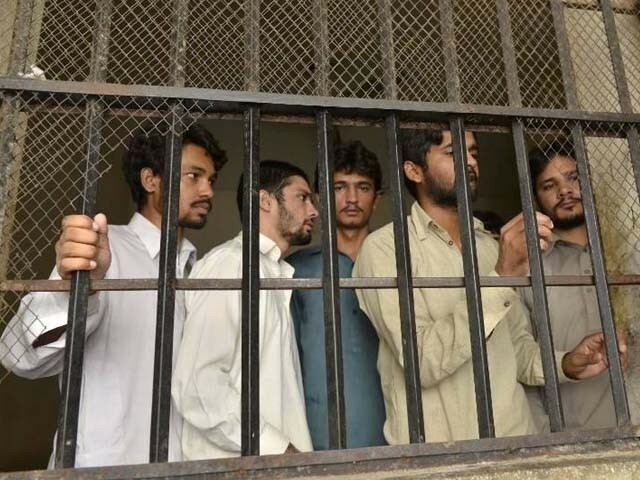 We get nothing,” said Yaargul Khan, 14, older brother of Ishaq. Even as child labour remains rampant in Pakistan, almost 5.2 million people; including four million children, die each year from waste-related diseases in Pakistan. A report by Triple Bottom-Line found that globally, many people did not know their old computers and televisions were shipped to countries such as China, India and Pakistan for “recycling”. Manually dismantling electronic devices comes with a slew of health hazards, including exposure to toxic substances called furans and dioxins. Burning these materials is even worse: A burning computer releases dioxins, lead, chromium and other toxic substances. Ali has no choice in the matter, and no gear to protect him from the fumes. Pakistan generates about 20 million tonnes of solid waste annually, according to the country’s Environment Ministry, and that number is growing by about 2.4 percent each year. The waste management methods in Pakistan, however, remain poor. The country’s most populous city, Karachi, generates an estimated 9,000 tonnes of waste daily, and garbage collectors cannot keep up. Recycling is not widely practiced, and in many urban areas, dumping and trash burning are daily occurrences. Asif Farooqi, the CEO of Waste Busters, a Pakistani waste management and recycling firm, says a big part of the problem is improper waste collection. His team goes door-to-door collecting garbage bags – in Lahore alone, the company services 70,000 homes – and repurposes the contents. From inorganic trash, Waste Busters derives a form of fuel; from organic waste, they create compost. Sadly, no organised or satisfactory system of solid waste management has been developed till now. The facilities are much too few compared to the waste generated. While the administrator for the Karachi Metropolitan Corporation (KMC), Rauf Akhtar Farooqui said the solid waste management is the responsibility of the District Municipal Corporations and not of KMC, the Commissioner of Karachi, Shoaib Ahmed Siddiqui told Al Jazeera that it was, in fact, very much the responsibility of KMC. “Sadly, no organised or satisfactory system of solid waste management has been developed till now,” he told Al Jazeera. Siddiqui expressed hope that things will get better as a result of the recent formation of the Sindh Solid Waste Management Board. “This applies to e-waste management as well,” he said. The situation has created openings for environmental organisations such as Gul Bahao, which literally builds homes out of rubbish, using materials such as bubble wrap and thermocol. “Attitudes are changing,” Gul Bahao’s Nargis Latif told Al Jazeera. Even as the south Asian giant struggles to manage its solid waste, its children continue to scavenge trash for petty income at the cost of their childhood, health and education. Names of some children have been changed to protect their identity. Posted in Health, Human Rights, Karachi and tagged Al Jazeera, Al Jazeera English, Child labour, Child rights, Child sexual abuse, Ewaste, Gul Bahao, Karachi, Wastebusters. Bookmark the permalink.